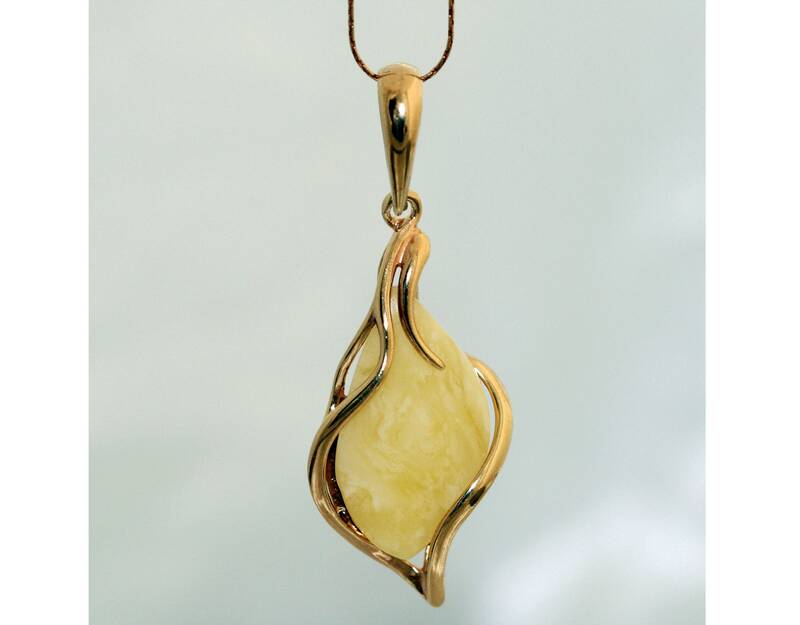 Original Milky Amber Pendant. Baltic amber fitted in 14 CT Gold plated sterling silver setting. Butterscotch Amber jewelllery. 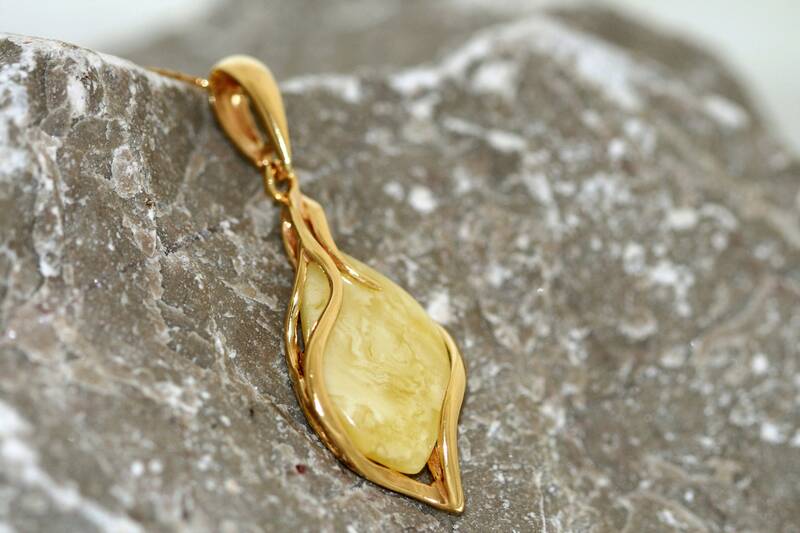 We are excited to present pendant made of natural Baltic amber which has been lovely set in sterling silver and then covered by 14 CT gold layer which is 6 microns thick. 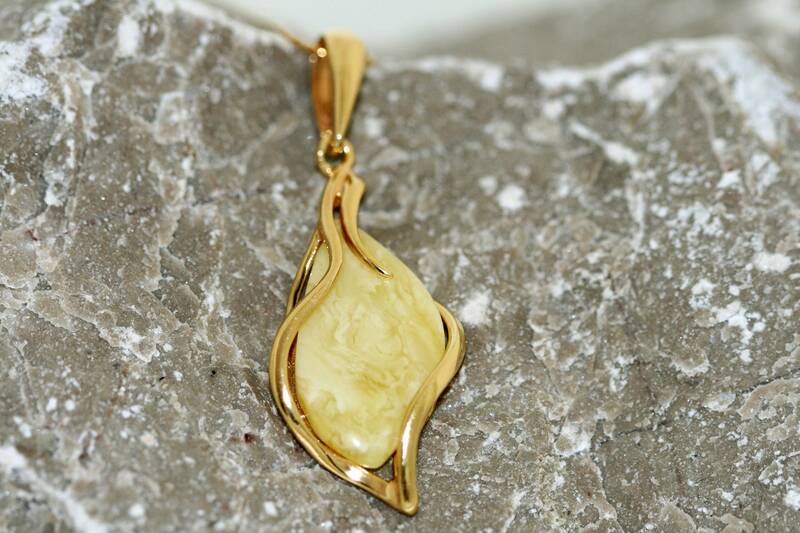 Milky type of amber fitted in an elegant setting. Milky piece of amber. Size of the design: 53 mm length, 2 mm width. Perfectly polished milky Baltic amber set in 925 sterling silver setting and then covered by 14 CT gold layer which is 6 microns thick. 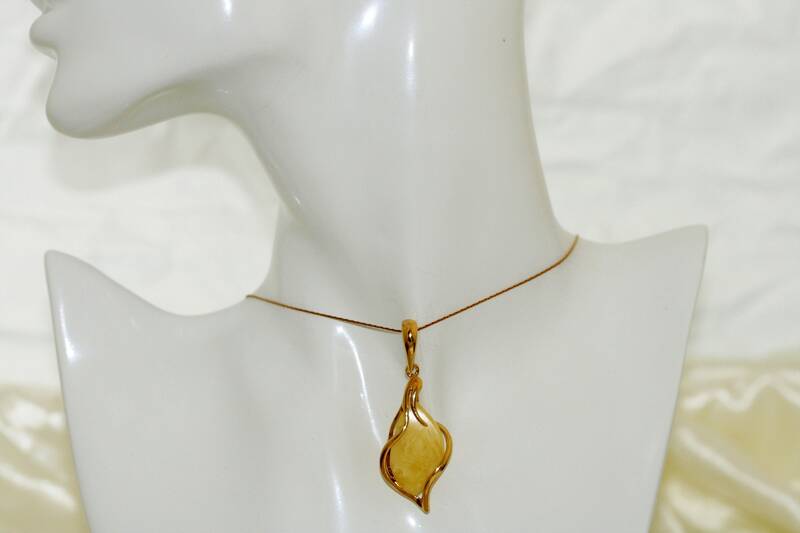 This pendant you can buy with 18 inch 14 ct gold plated sterling silver chain, Cardano style. Length of chain: 18 inch (45 cm).